We are grateful to welcome you all to TAFIRI Sota substation which is currently located at Kabwana area within suburbs of Shirati town in Rorya District of Mara region. 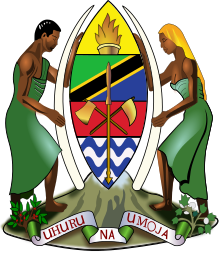 TAFIRI Sota is a solely sub-station of TAFIRI and it is affiliated to TAFIRI Mwanza centre. The station is bordering Kenya in the North, Shirati town in the East, Shirati Bay in the South, and Lake Victoria in the West. It was established in 1988, initially as special centre for Nile perch research project through funding from the International Development Research Center (IDRC) of Canada. After the ending of IDRC project, the buildings belonging to Sota station was handled over to the first Director General of TAFIRI, Prof. Phillipo Bwathondi on behalf of TAFIRI administration. The name TAFIRI Sota was adopted to honour the village at which the station is located, which is also called Sota. Though, in the year 2001 office operations was later shifted to the current area at Kabwana following shortage of offices, laboratories, and absence of electricity necessary for day to day activities, yet the name TAFIRI Sota is still in use because soon new office buildings and laboratories will be constructed to Sota area. I am therefore, inviting you all to TAFIRI Sota station to join hands. We believe in influx of visitors to our station with certain that some may bring in new ideas to fast truck development of the station, institute and the nation at large. God bless you all and Cheers!